This past weekend, my in laws came back from a trip. They brought some goodies home from a farmers market for us to try. To read more on what they gave us, you can click here. A few things they brought back were a daikon radish and a few peppers I had never seen before. One was purple and one was white. They were both bell peppers. 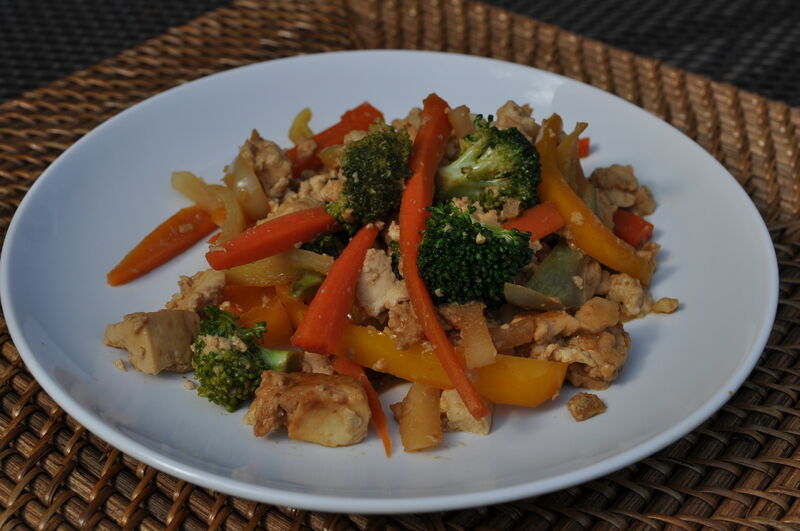 So, I thought I would use them in an Asian inspired tofu scramble! I just love Asian food. Take the oil, daikon and garlic and heat in a pan on med heat. Once you see them start to soften and turn translucent, add the rest of the veggies and cook for a few minutes until everything gets soft. When everything looks soft, toss in the tofu and the sauce. 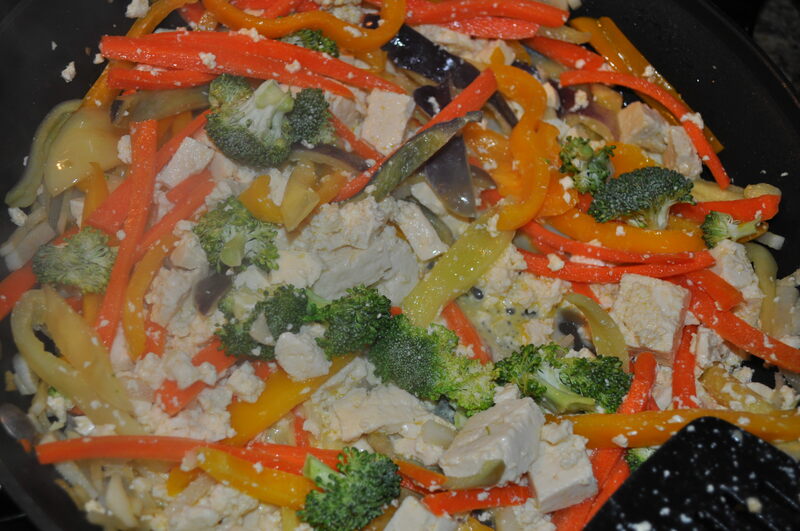 Crumble the tofu slightly as you toss it into the pan. Turn the heat up slightly and let everything cook for a bit. 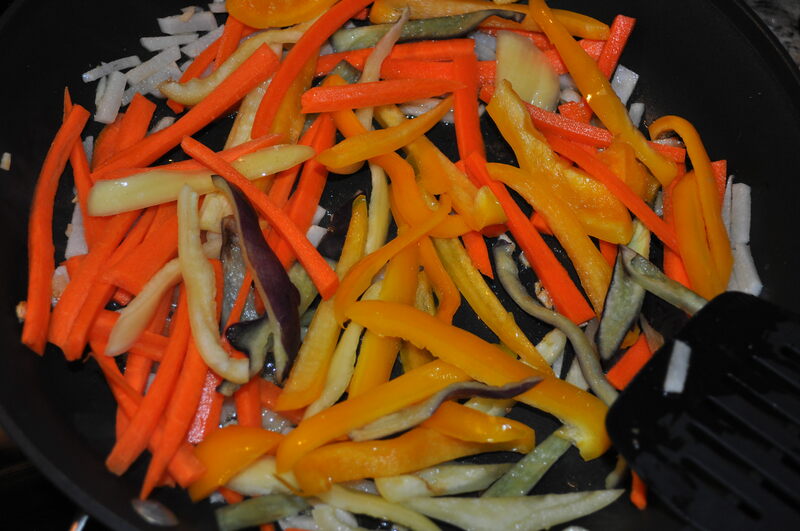 The mixture will look a bit watery, but if you cook it uncovered, some of that water will burn off. Once some of the liquid has burned off, remove from heat. Plate and enjoy! Just discovered your site. The recipes are wonderful. I'm off to the kitchen to make the Pumpkin cookies. Thanks for sharing the love. Welcome Bridget! I hope you enjoy my recipes!